Research Description: Professor Whetten’s research examines the health behaviors and outcomes of disadvantaged communities and individuals. She seeks to understand the interrelationships among individual and community psychosocial dynamics, health behaviors, health, provider characteristics and public policies. Professor Whetten views these relationships as multidirectional. She examines and clarifies underlying group characteristics that can be addressing to improve individual and community well-being. Whetten is one of a small group of researchers examining adult health outcomes as they relate to a life-course of events and influences starting with childhood experiences within families and communities and continuing through present-day conditions that may be manipulated through intervention. All of Professor Whetten’s research is grounded in the idea that public policies can make a difference in people’s lives. Whetten has led 18 federally funded research grants and is the author of 3 books and over 60 peer reviewed articles. Currently Whetten and her intervention, service and research team have research projects that address issues surrounding HIV/AIDS, mental health, substance abuse, being orphaned or abandoned, social justice, and poverty in the US Deep South and in less wealthy nations. She and her team work with colleagues in: the US Deep South; Tanzania; Kenya; Ethiopia; Cameroon; Malawi; India; Cambodia; and Russia conducting research and interventions. Kathryn Whetten (PhD) is Chair of the Maternal, Adolescent and Child Health working group, and she is the Co-Chair of the University Diversity Task Force and the Sanford Diversity Committee. 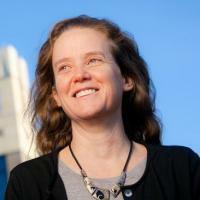 Kathryn Whetten is the Principal Investigator on multiple grants and publishes numerous scientific articles every year. In addition, she mentors many students and gives guest lectures and presentations throughout the year. Kathryn Whetten is a Professor of Public Policy and Global Health with additional appointments in Community and Family Medicine and Nursing. She is the Director of the Center for Health Policy and Inequalities Research (CHPIR), which is part of the Duke Global Health Institute (DGHI). Additionally, Professor Whetten is the Research Director of the Hart Fellows Program.